Drives powerful results by supporting individual changes to achieve organizational success. In today’s organizations, change is constant. Whether the change is about processes, technologies, the structure of the organization, or something else, each change impacts how individual employees do their jobs. The success of the change depends on the success of change management in encouraging individuals to embrace, adopt and utilize a required change. 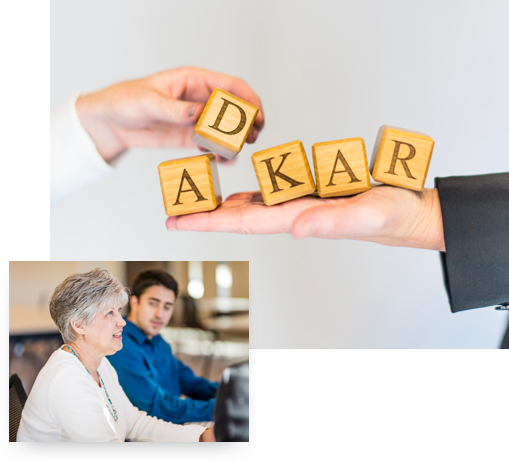 The ADKAR Model supports individuals through change. Success also requires integrating individual change management and organizational change management. 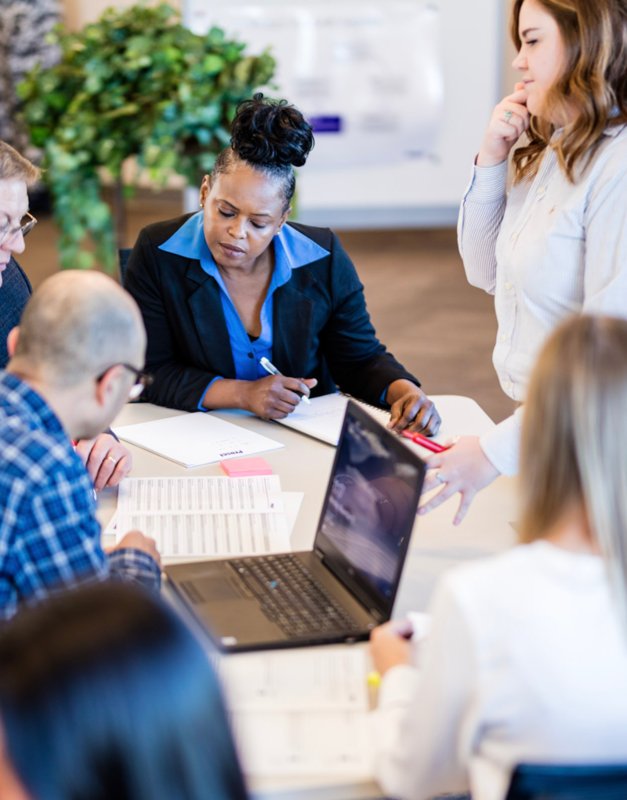 The Prosci 3-Phase Process, another component of the Prosci change management methodology, provides a strategic, step-by-step approach to organizational change management. Organizations don't change, individuals do. No matter how large a project you are taking on, the success of that project ultimately lies with each employee doing their job differently, multiplied across all employees impacted by the change. Individual change management means understanding how one person successfully makes a change. The ADKAR Model drives successful change at the individual level based on an appreciation of how change impacts each employee and how to support them through change. While change happens one person at a time, processes and tools can help facilitate this change across groups and organizations. Without a structured approach, change management tools are often limited to only communication and training. Organizational change management leverages tools and methodologies that help individuals successfully make changes that contribute to reaching organizational goals. With an organizational change management perspective, a process emerges for how to scale change management activities and how to use the complete set of tools available for project leaders and business managers. 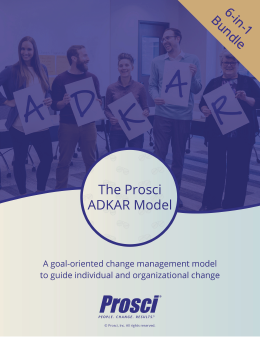 The link between individual change management and organizational change management is what sets Prosci's change management approach apart from other methodologies. Numerous models address individual change. And numerous models give guidance and structure to the project-level activities for the people side of change. 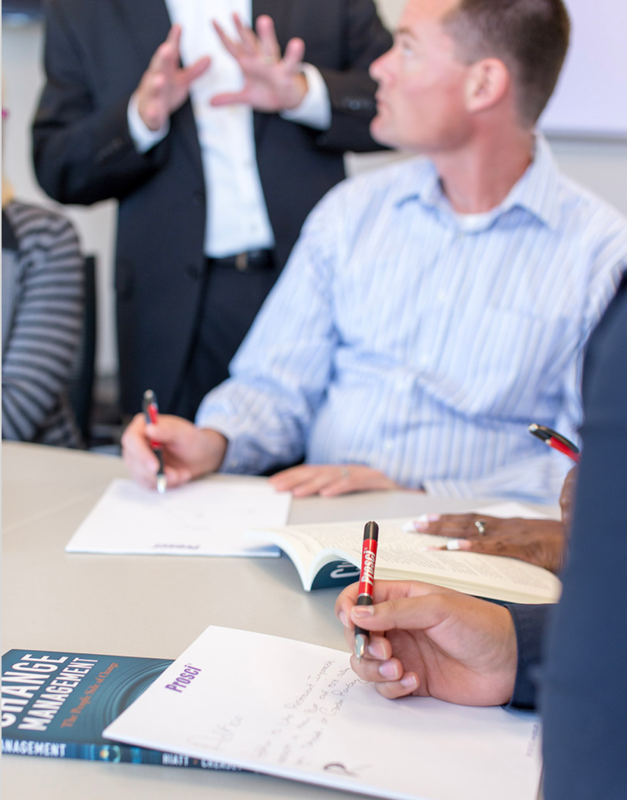 The Prosci methodology uniquely integrates individual change management and organizational change management to ensure that business results are achieved. This is the essence of effective change management and the Prosci methodology: leverage change management strategies and activities to drive individual transitions and ultimately organizational success. 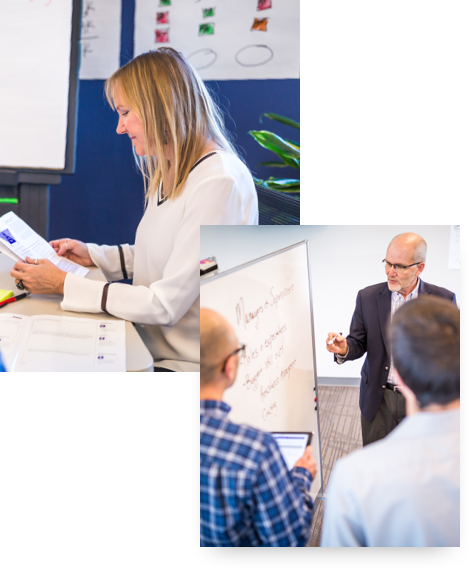 Prosci's organizational change management process is built in three phases that a project or change manager can work through for the changes and initiatives they are supporting. The methodology includes research-based assessments and templates to support each phase, as well as guidance for completing each step most effectively. “Who is impacted by this initiative and in what ways?" The first phase provides the situational awareness that is critical for creating effective change management plans. Provides insight into the change at hand, its size, scope and impact. Gives a view of the organization and groups that are impacted and any specific attributes that may contribute to challenges when changing. Defines how many change management resources are needed and their organizational relationship to the project team and project sponsor. Identifies which leaders across the organization will need to act as sponsors of the change and how to get those leaders on board and actively sponsoring the change. Identifies the groups of individuals impacted by the change and in what ways, and any unique challenges you may face with this group in the project. Based on the assessments in this phase, you can develop a strategy that scales the change management effort to align with the type and size of the change. The second phase of the Prosci 3-Phase Process focuses on creating plans that will integrate with the project plan. These change management plans articulate the steps that you can take to support the individuals impacted by the project. Based on Prosci's research, there are five plans needed to effectively support individuals moving through the ADKAR Model. Articulates key messages that need to go to various impacted audiences. It also accounts for who will send the messages and when. Outlines the actions needed from the project’s primary sponsor and the coalition of sponsors across the business, with details on visibility, communications and more. Identifies who will need what training and when. The training plan should be timed to allow for awareness and desire building before employees are sent to training. Outlines how you will engage with and equip managers and people leaders to lead the change with their individual teams. Provides a strategy for anticipating areas of resistance, and then proactively and reactively addressing resistance, with specific activities targeted at potentially resistant groups. Equally critical but most often overlooked, the third phase of the Prosci 3-Phase Process helps you create specific action plans for ensuring that the change is sustained. In this phase, project and change teams develop mechanisms to measure how well the change is taking hold, see if employees are actually doing their jobs the new way, identify and correct gaps, and celebrate success. It is important to establish measures to see if people are actually doing their jobs in a new way. These measures will be unique to each project. It is important to remember the ADKAR Model in this phase to identify why people may not be embracing the change so you can take action to address the root cause of the gap. Though people may successfully change, they often revert to their old habits unless reinforcement mechanisms like continued compliance measuring, ongoing training and coaching are in place. It is important to recognize the hard work people have put into embracing change, and it is equally important to look for means of recognition that will resonate with the individuals. In addition to recognizing the achievements of individuals and groups who have effectively changed, it is important to publicly celebrate the hard work that went into getting to a new future state. Common in project management, an after-action review of the change management efforts helps to identify strengths and opportunities for improvement to drive more successful outcomes. Ready to drive change with ADKAR?